This week, it's a candid 1978 snapshot of Dark Shadows creator Dan Curtis on the set of NBC's costly failure Supertrain. 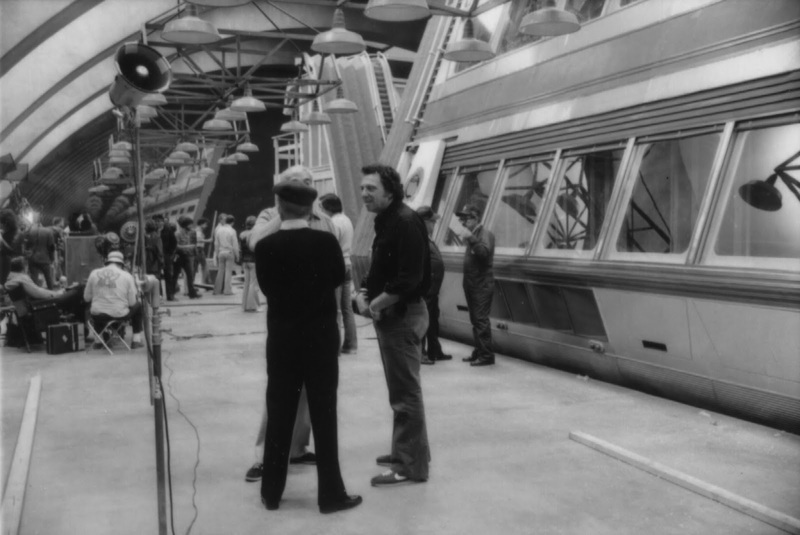 Conceived as a rival to The Love Boat, the weekly show featured mystery and anthology-style drama on a futuristic luxury train, which came complete with its own gymnasium and disco. For its brief run it was the most expensive show on American television. Before long, low ratings and backstage creative differences saw Dan Curtis abruptly leave the project to make way for a doomed mid-season revamp. Even before his departure, the cracks were beginning to show. "Put the train on with no scripts and no actors and see how long it lasts," he grumbled about NBC's decision to promote the train as the star of the show. "The train is terrific, but it's only the ambience." By February 1979, the disgruntled now ex-producer was rather less diplomatic. "It was the biggest mistake I made," he told The St. Petersburg Times. "I directed it under the most insane conditions... With the money I was dealing with and the time, I'd love to see anyone duplicate that one." Signing off, he declared: "I don't care what anybody says about it. It wasn't f**king brain surgery... but that's what they wanted. They wanted a picture like that and I gave them one." 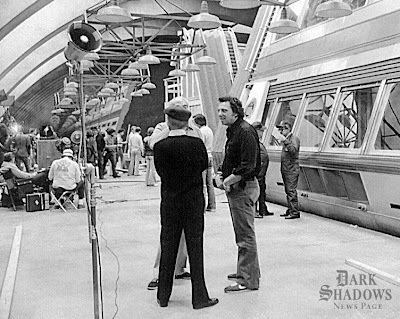 That's too bad "Supertrain" did not make the cut and my first time hearing of this Dan Curtis Sci-Fi TV Project: looks pretty fantastic & futuristic, though. Awesome, pic of the fame Dark Shadow's Creator Dan Curtis, also loved Trilogy of Terror, that was pretty creepy with Actress Karen Black. Would of loved to have seen a Dark Shadow's Christmas Carol story-chill line: but none the less "thank goodness" for the DARK SHADOWS Classic-Gothic/Horror-Mystery TV series and DVD Deluxe set(s). There treasure spectacular! !